The opening of the Rijksrestaurant was for the editors of Volkskrant Magazine a good reason to stylize the dishes prepared by chef cook Joris Bijdendijk in a typical setting for the Rijksmuseum. 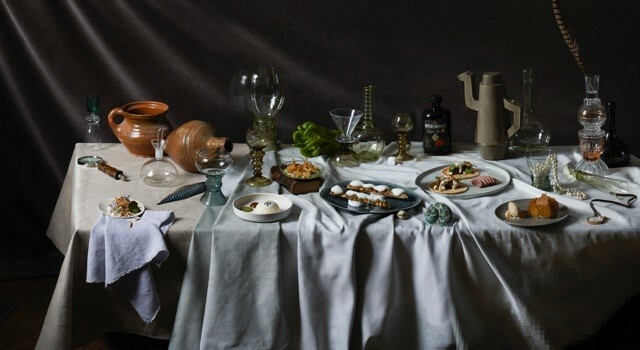 Rein Janssen photographed these dishes in the tradition of 17th-century still lifes and the styling has been taken very good care of by Judith Rasenberg. You can have a look at the published article right here.